While carpeting is very popular in British homes, there are still many homeowners who prefer something different. For your clients, there are many options for them to choose from to suit their household. It could be purely about looks and style, but there’s also the added benefit of laminate and wood flooring, which is easier to keep clean and ideal for allergy sufferers. Your clients might have already chosen from solid wood or parquet flooring, or made the decision to go with vinyl or laminate flooring, but they’re sure to have questions for you if you’re fitting it. 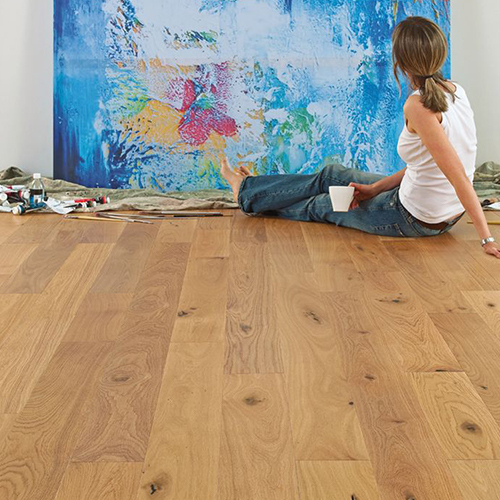 Helping them to decide the right kind of flooring is usually the first step before ordering. They’ve probably done their own research and have very clear ideas of what they want for their home, but will still appreciate further advice and help. With that in mind, let’s go through some flooring types, and cover some of their benefits and useful tips you might want to know, just in case you’re asked by your customer. The beauty of a solid wooden floor is the feeling of quality and warmth. 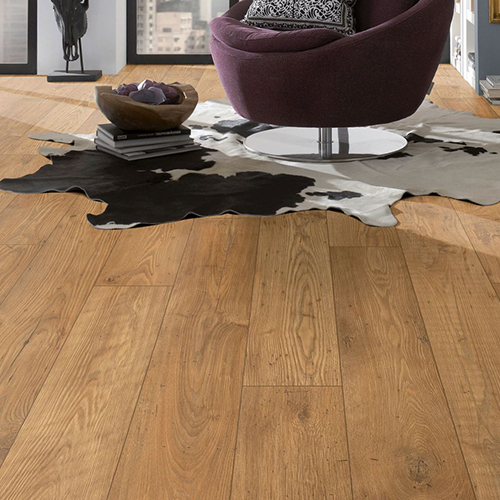 Solid oak flooring is a perfect example of high quality flooring that people have come to look for when changing their homes to create a timeless look. Solid wood floors are the popular choice for hallways, bedrooms and lounges because it looks great and feels comfortable underfoot. Engineered parquet flooring is made up of bonded blocks that can be arranged in patterns, often herringbone style but can be arranged into other designs, to give a pleasing and attractive look to a room. Because of this, people like parquet flooring for its ability to create a more personalised look, but it’s also able to deal with changes in moisture and temperature. When people buy laminate flooring, the decision comes from the fact it’s usually cheaper than solid wood. It’s also fairly easy to install, using a simple click system. Even though installation is simpler than other types of flooring, it’s still helpful to know a few pros and cons of laminate flooring. Luxury vinyl flooring is popular with many home owners because it ticks several boxes, namely being easy to keep clean, water resistant and affordable. As technology has improved we now have styles that look very realistic with very natural looking effects, including marble and wood vinyl flooring. If you need to know more about wood and laminate flooring, and flooring accessories, get in touch. We’ll be happy to help.